Needle and Spatula: Roast your Veggies! I have never liked cauliflower until I tried it roasted it's sooooo good. 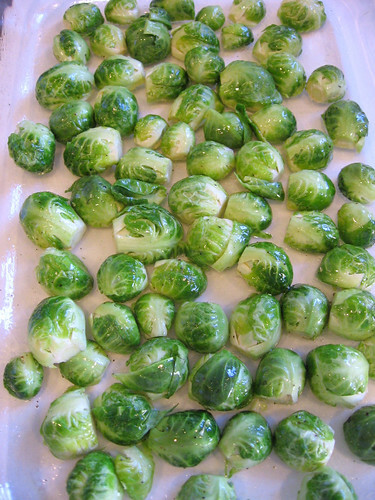 I roast it in a similar way as you do brussels sprouts then toss with a little lemon juice when it's done. We roast so many veggies though it's my favorite way to cook them. Oh yeah, I feel exactly the same way about cauliflower - love it roasted too! I was SERIOUSLY just thinking about making kale chips (which I have never done before), because we're getting a ton of kale out of the garden now. I was thinking about how I needed to find a good recipe... and low and behold, I open up my reader and find this! I love this sort of coincidence. Also, after reading the comments, I want to try some cauliflower, too! And, since I can't get enough veggies, I love roasting beets (one of my all time favorites), and in the fall I roast a bunch of chopped up varieties of squash mixed with herbs, cranberries, and pecans. It tastes like heaven! 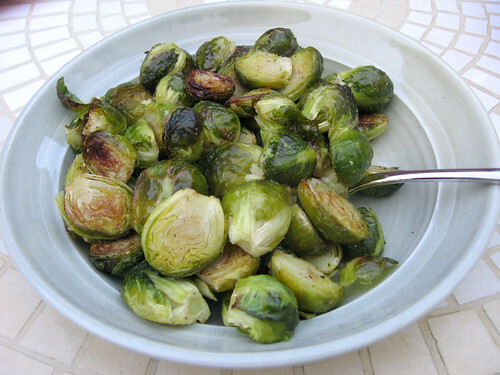 I love roasted vegetables (such intense flavor! ), too. I think Asparagus is my favorite but we do everything from snow peas and cherry tomatoes to onions and sweet peppers and broccoli. This time of year I usually skip the oven though, and go straight for the grill. I use a grill pan -- it's a dark metal with holes. A friend of mine just uses a disposable foil pan. Either works and the results are so delicious and healthy. 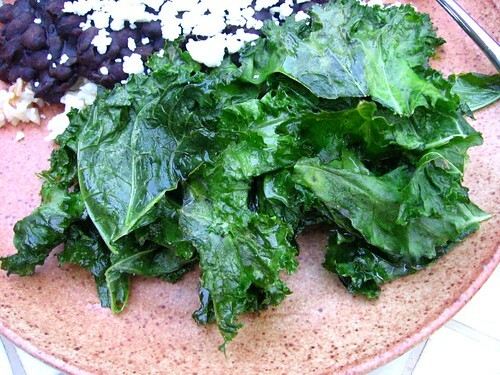 I can vouch for the yumminess of kale chips. Even my "anti-kale" husband gobbles these up when I make them. 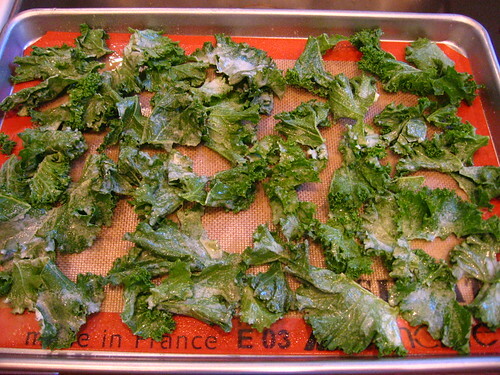 Oooh those kale "chips" look amazing. Do you think the recipe would work with other leafy greens? For summer roasting here, I like to make what I think of as "roasted ratatouille". I slice up tomatoes, red/yellow/green peppers, an aubergine, a few courgettes, a lot of garlic cloves and some onions. I toss them all with olive oil, coarse sea salt and chopped fresh herbs (rosemary, thyme, basil). 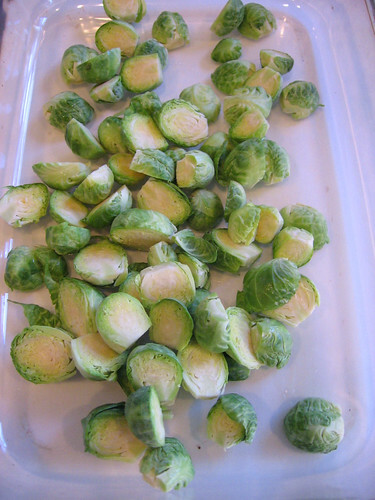 I then spread them out in my biggest oven dish and pop them in the oven at about 375F/180C and just leave them. After about an hour or so, I stir them and add some balsamic vinegar. Then I leave them for another hour or so. At the end they are all melty and carmelized. YUM. Perfect with couscous or if you are meat eater, as a side dish.